Start a club at your school! The Federation of Student Anglers (FSA) wants to hear from students in Texas middle and high schools who want to form or be on a school fishing team and from school administrators who are interested in starting a club team at their school. FSA is expanding its two flagship programs, the Texas Middle School Fishing Challenge and the Texas High School Fishing Series, with chapters and club teams forming in and around North Texas, Houston, Austin and Tyler. Student members fish every month of the year in on-the-water tournaments, online tournaments, in club and chapter outings and in the Summer Fishing Series that fishes one weeknight each week for the entire summer break. Club teams compete against other schools in their chapter for trophies, plaques, fishing and paddling equipment, boats, letter jackets (yes, you can now letter in fishing! ), and most importantly, scholarships. 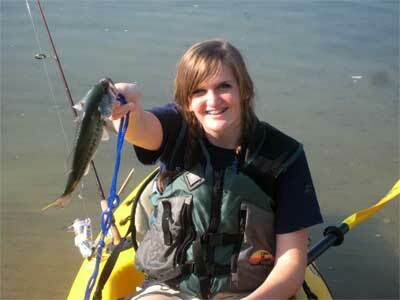 Clubs also build boats, rods and baits, learn to fly fish and tie their own flies. At the high school level, students compete for points qualifying them to advance to the state championship tournament tentatively scheduled to be held in June 2012 at the Texas Freshwater Fisheries Center in Athens. Based in Texas but international in scope, the FSA's programs give students the opportunity to get on the water and fish as well as learn about aquatic biology, fisheries management, ecology and the environmental sciences. FSA helps organize school-based chapters and works with Texas Parks and Wildlife Department angler education instructors to teach water safety and fishing skills while offering each student a chance to fish in a safe, supervised environment. Fishing is done from shore or from human-powered craft, so students are not required to have access to a boat to participate. FSA executive director Brad Newman of Bulverde, Texas, touts the non-profit organization as the only school-based, team-oriented fishing program in the United States in which students can captain their own watercraft. "Our goal is to educate our members on becoming better anglers, while at the same time introducing them to competitive fishing," he said. "As a bonus, we award more than $100,000 in college scholarships annually, and that number continues to grow. We believe that anyone can fish and be good at it if given a place to start and an opportunity to keep doing it." For more information on the Federation of Student Anglers and how to start a club team or chapter, visit //www.fishingstudents.com.